Everywhere I go and everything I do I find inspiration thanks to Leonard and his wonderful songs and poetry. Every time I see any type of lilies I remember A Thousand Kisses Deep and especially the verse I have put on this photo. 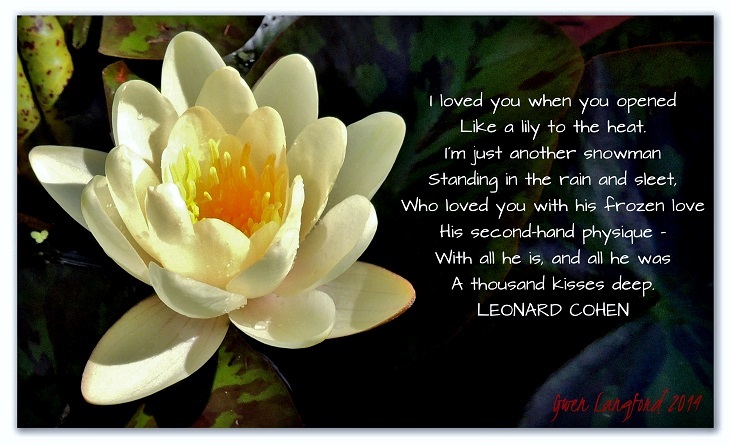 This entry was posted in Leonard Cohen, Photos and tagged A Thousand Kisses Deep, Leonard Cohen, Lily.